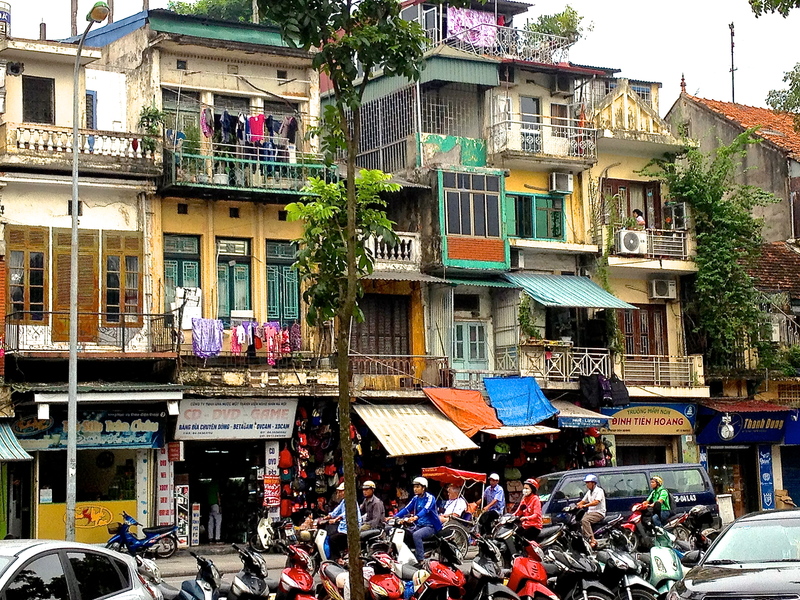 It’s 10 years since I have been to Hanoi – which is a travesty, as it’s one of my favourite cities in the world – and though it has changed so rapidly since my first visit here in 1993, it still retains its essence – that eclectic and alluring mix of Vietnamese-French colonial-Russian-market-communism welcome that is entirely unique. In the 1990’s the city was incredibly peaceful – there were only bicycles on the street and the odd old Russian sedan which ferried select government officials around in a rather menacing fashion behind curtained windows. In fact, I recall a very slow trip down Highway 1 (which travels the length of the country) in one of those low-riding sedans in the mid-1990’s, as our car had to stop on a number of occcasions and wait for the locals to clear their game of cards they had set up in the middle of the tarmac!!! 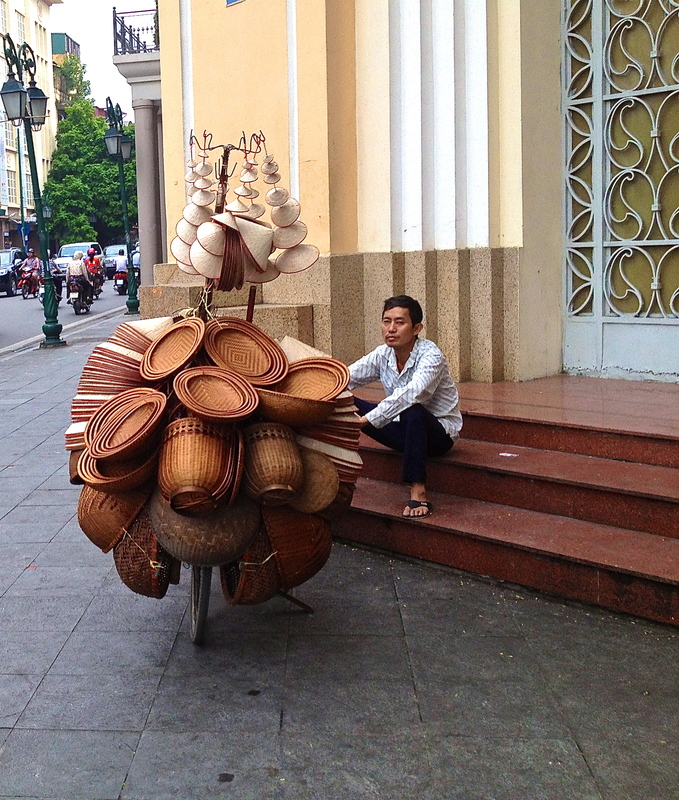 Back in Hanoi, with the opening up of the economy, bicycles were soon displaced by the ubiquitous motor scooter, and weaving across intersections became a work of art and of faith! Closing your eyes also took some of the stress out of the situation I remember! Here I am today and the traffic is still mental and further complicated now by private cars, but the motorbikes still rule, and ferry between one person and a whole family at any given time. Bicycles are still in the mix, laden impossibly high with produce being ferried to and from markets. The wonderful architecture of old Hanoi still survives amidst the craze for modern buildings – with impossibly narrow confections of gravity-defying buildings jammed against each other, topped with tile roofs and a mess (no other word for it) of internet and electrical cables in an occupational health and safety officer’s nightmare. Add to this a very friendly and welcoming people, fabulous food, a lively art community, interesting shopping, easy walking around the city’s lakes … no wonder it’s at the top of my list! “A very friendly and welcoming people, fabulous food, a lively art community, interesting shopping, easy walking around the city’s lakes…” That’s so true :). Even with me, who live in Hanoi now, foods and shopping always attract me most. 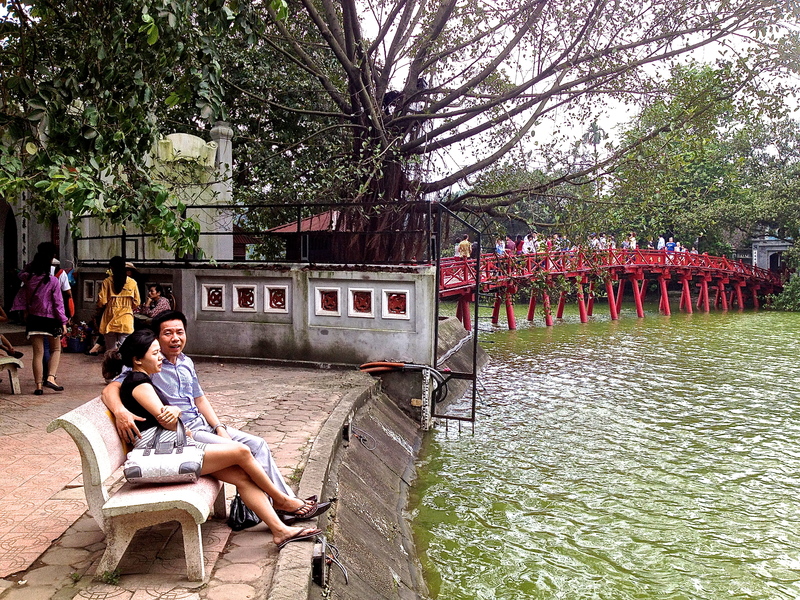 At the weekend, have a free time to walk around Hoan Kiem lake, always help me to find balance in life.